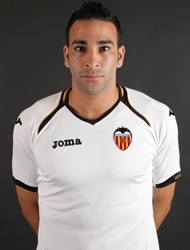 Valencia CF defender Adil Rami is set to leave Valencia and join Italian team Napoli. Napoli new coach is Valencia's former coach Rafael Benitez, who is interested in Adil Rami and wants to help Valencia CF financially. The first Napoli offer was about 9 to 10 million euros, and Valencia CF would like to get 14 million euros for its best defender currently, with 12 million being reasonable if some bonus clauses are put in. Valencia CF wants to sell Adil Rami so they get as much as possible right now, since he still has a long contract and if they wait till next season he may become even cheaper.